Boil the rice in a large saucepan of lightly salted water for 15 minutes (or as instructed on the packet - you could always use microwave rice if you have a microwave in your caravan). When cooked leave rice to cool. Then stir in pesto sauce and basil leaves, drizzle with oil and sprinkle with grated parmesan. It's as easy as that !! 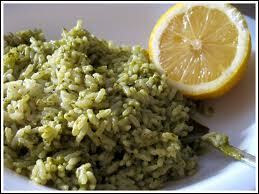 Please send us a picture if you make our Pesto Rice Salad so we can add it to this page.